In the course of the ongoing optimization process, every procedure in the BMW tool manufacturing plant in Munich is examined and improved regularly. 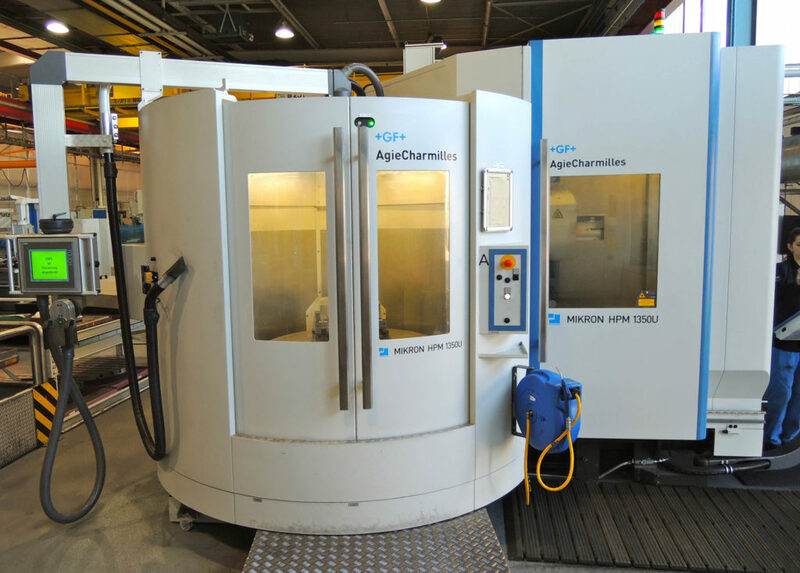 For the manufacture of precision parts for large shaping and cutting tools to shape body panels, two Mikron processing centers by GF Machining Solutions have been in continuous use since the beginning of 2012. This improved not just the quality of the parts, but also increased the machine runtimes and doubled productivity within one year, and that’s not all. “The constant optimization of all processes has become second nature to us,” is how Herbert Winkler describes the attitude of his team to the continuous optimization process. 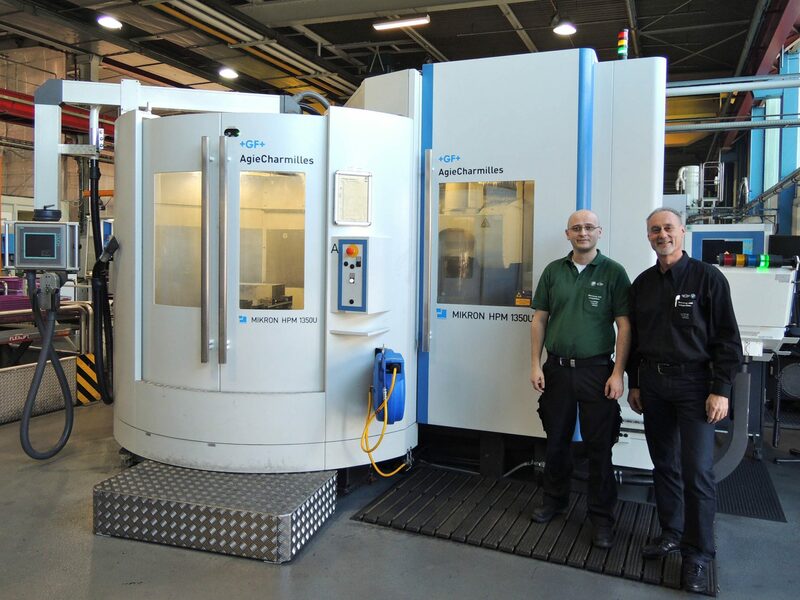 “However, the fact that we achieved such effects with the two new machines did come as a surprise to us, but it also served as an affirmation of our efforts,” says the manager of the mechanical tool manufacturing department at the BMW tool manufacturing plant in Munich. Responsible for this are two five-axis Mikron HPM 1350U processing centers by GF Machining Solutions. Equipped with tool changers, pallet magazines and zero point clamping systems, they have made a decisive contribution in the context of the entire optimization measures since 2012 to the point where productivity was doubled in the manufacturing of small parts within a year. This increase continued in 2014 as well. As one of three sites of the BMW Group for tool manufacturing, the Munich staff, comprising a total of 220 employees, worked closely with the development department to develop and manufacture the tools for the car body exterior and structural parts of the new BMW models. “We see ourselves as a partner and supplier for the technologies for shaping and constructing car bodies and virtually get the design into shape,” Winkler adds. This includes the entire product manufacturing process with planning, prototype construction, engineering, mechanical manufacture and toolmaking. The approx. 80 toolmakers have five large as well as several small and medium-sized milling machines at their disposal. The tools are tested on six test presses with up to 23,000 kN pressing force before the Munich staff puts them in operation in pressing plants all over the world. Together with the Dingolfing and Eisenach sites, the Munich plant manufactures about half of all BMW-tools themselves. The other half is manufactured by partner companies. About 500 tools with an average of four to five operating sequences per tool sets leave the manufacturing plants at the three sites every year. The manufacturing time of the tool sets has been drastically reduced in the last few years, because all processes are interlinked with each other in a much better way. Non-productive processes of the mechanical manufacture have also been disentangled from the main process and moved to units running in parallel. This affects setup and clamping processes, the programming, as well as the tool pre-sets. This is the result of the continuous optimization program, which affects the manufacturing of each of the different modules of a tool. Added to this is the increase of manufacturing times with little or no manpower. All parts must be delivered installation-ready for tool assembly to the setup and commissioning department. Today, the formerly used milling process has almost completely fallen into disuse. “In general, the image of the machine operator has changed a great deal: The classical milling cutter has become a milling manager who is responsible for the result and all associated processes.” In addition, BMW’s tools are developed and manufactured with a very strong assembly orientation. During the manufacturing of small components, it was possible for a tool to determine that some parts are too large for small machines and too small for the average machines. That is why suitable processing centres were sought for the manufacturing of components like blades, shaping jaws, lifting devices, warm re-shaping bowls or sliders as well as blank holders and stamps. “We decided on the two Mikron HPM 1350U by GF Machining Solutions, because they promised the best values in the benchmarking for almost all important facts,” explains Jürgen Heinzer, who is responsible for the technical planning and procurement of the of the means of production. Daniel Princip, mechanical manufacture foreman of the BMW tool manufacturing plant in Munich, who deals with the machines on a daily basis, agrees. The 1350U models of the HPM type series (high-performance milling) are built according to the moving column principle and are marked by the combination of many individual measurements. 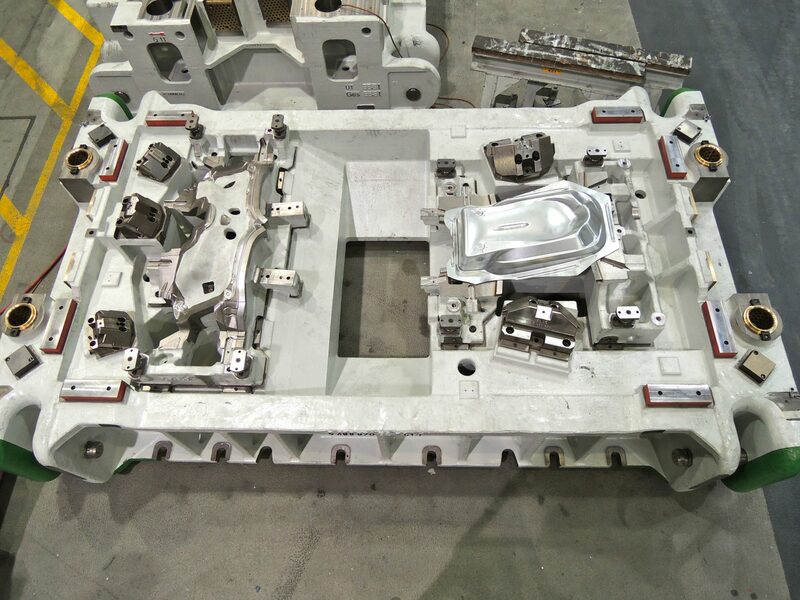 A one-piece, molded machine bed standing on three feet provides a very stable basic structure. The table is symmetrical and the guides of the X-axis are arranged on two levels. This results in high torsion rigidity, especially if heavy workpieces are not clamped to the rotary table in a centered way and if this is turned. 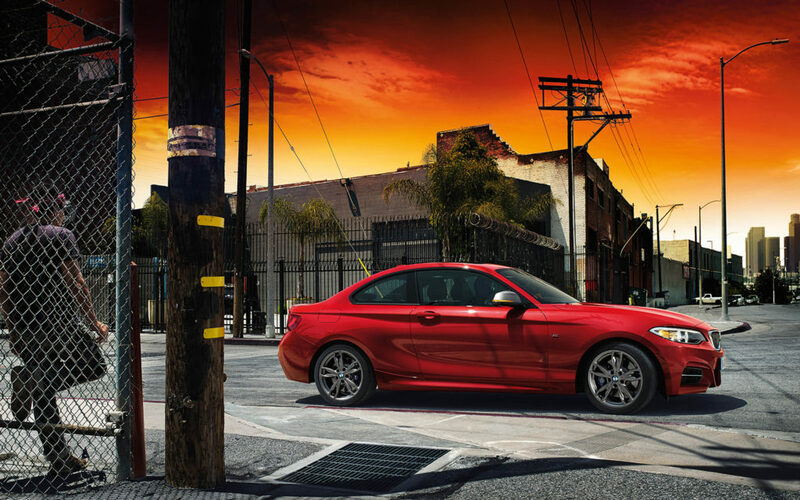 At BMW, it is often clamping towers that benefit from the increased rigidity. Beyond this, the linear guides have scraped supporting surfaces, which leads to a very high geometric accuracy. “Machines with such basic properties can easily handle even the greatest precision requirements,” Eder promises. Beyond this, the A- and C-axis can be clamped for roughing treatment, which significantly increases the stability and thus the tool life. High-performance high tech motor spindles made by the Swiss GF subsidiary Step-Tec provide high torque even at a low rotational speed and rotate up to 24,000 rpm with an HSK tool interface. The swivel arm, like the rotary axis, is powered directly by torque motors and water-cooled. This is how the machine makes simultaneous 5-axis milling processing possible. All axes are equipped with a direct measuring system. These quality components promise high precision and cost-efficiency for continuous use. 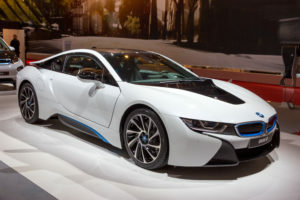 That is what BMW aims for. Both machines are equipped with a tool changer that contains 92 tools each. Pallet changing systems, with three pallets, each make parallel setups during the main production time possible. “This turns auxiliary process times into production times,” Eder emphasizes. Yet, the quality of the manufactured parts is better than ever before. Due to the high rigidity of the machine, the surface area finish of work pieces is close to the required 80 % load carrying capacity and only requires half an hour of subsequent lapping work, whereas three to four hours of manual post-processing used to be necessary. GF Machining Solutions has adjusted the machines to use dry processing that has been in use at BMW since 2002. The compressed air is brought to 12 bar pressure and the processing zone is air-cooled both from the inside via the cutter as well as from the outside. The removal of chippings was also adjusted to the dry processing. For this, the conveyor chain is equipped with an active lubrication system, because the cooling lubricant of the machine is not available. With all these functionalities, these two machines by GF Machining Solutions make an important contribution to the productivity increase at the BMW tool manufacturing plant in Munich. The output has also increased accordingly. Known for eroding and milling machines, GF Machining Solutions, is the global leading supplier of machines, automation solutions and services for tool and die manufacturing as well as for the production of precision parts. The product range includes electro-erosion, high-speed and high-performance milling machines, clamping and palleting systems, 3D laser machines for surface structuring, services, spare and wear-and-tear parts, consumable materials and automation solutions. As a globally active company, GF Machining Solutions, a division of the Georg Fischer Corporation (Switzerland), is present at 50 sites with its own worldwide organization. In 2013, 2,873 employees generated a turnover of CHF 852 million. 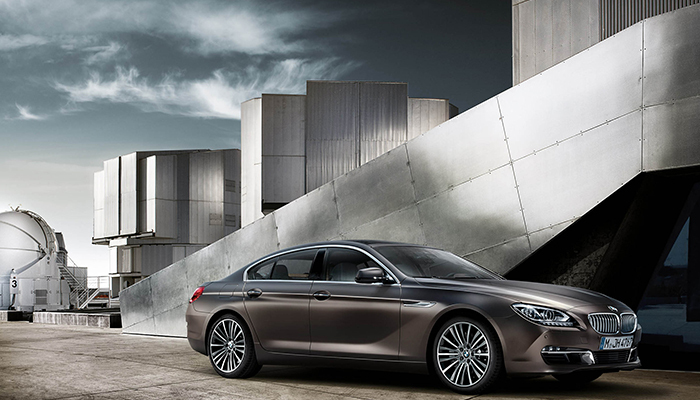 The BMW tool and die manufacturing sector is distributed across three sites: Munich, Dingolfing and Eisenach. With a total of around 720 employees on a production area of around 32,000 sqm, about half of all BMW tools used to manufacture a car’s body exterior parts are produced in all BMW pressing plants. 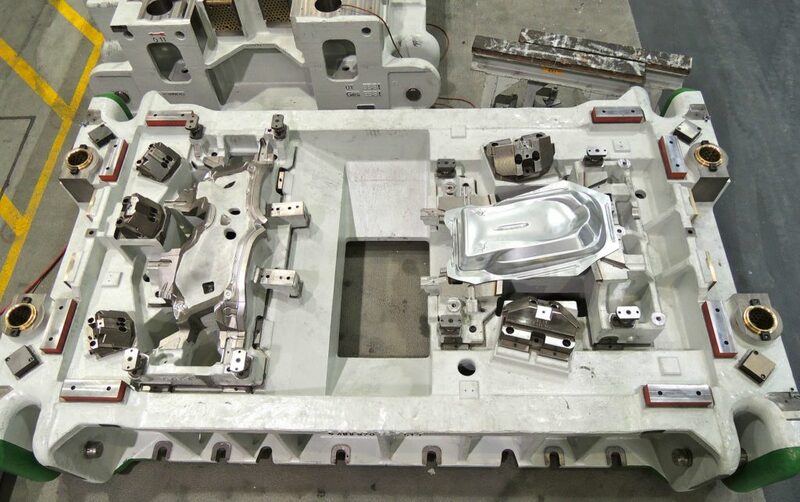 The tools manufactured with the help of 13 large milling machines and numerous small and medium-sized milling machines were tested before commissioning on a total of 20 test presses with up to 23,000 kN pressing force.